Hold on to your Saint-14 helms, Guardians. KMagic 101 is baaaaaaaack! Once again, as if the first time wasn’t enough fun for us, the multi-talented, multi-faceted gamer, KMagic101, has come back to the Tower to talk about a lot of stuff, but namely a little event he’s involved with called GuardianCon. Enjoy the listen and the laughs as we enjoy with Kevin a look ahead at what is coming to Tampa this July! Got questions for the KMagic or the Guardians? 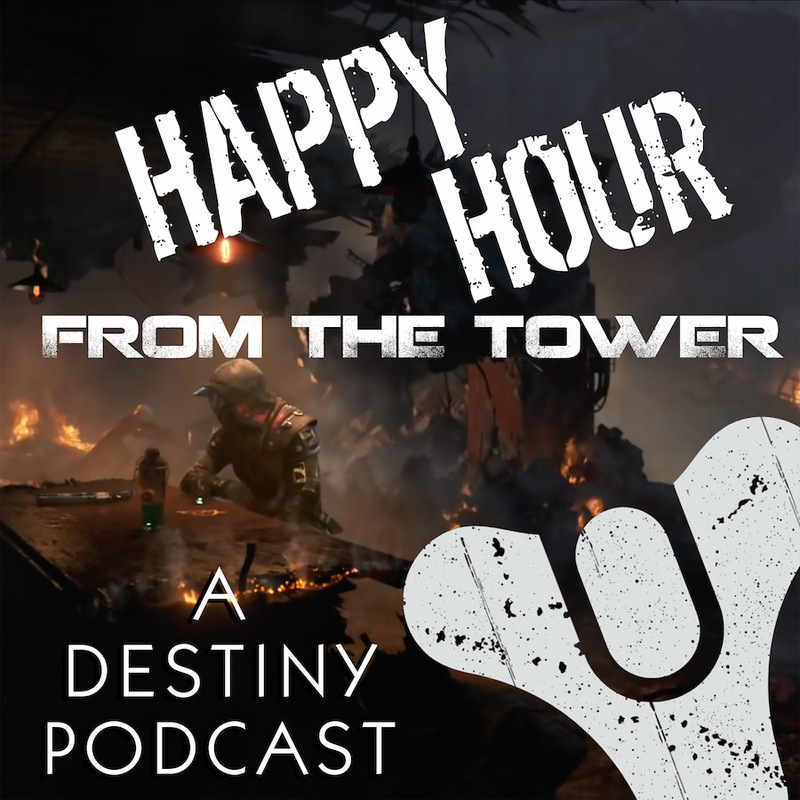 Send in your feedback at 703.791.1701 or podcast (at) happyhourfromthetower (dot) com. We’d love to hear from you! Tee lives to make TheBigMarvinski laugh. Brandon is never good with rules, or competition for in-game girlfriends. King’s Coast Coffee. The official coffee that wakes Tee up in the mornings! 1:28 — Episode #039: GuardianCon HYPE with KMagic 101!!! Cutting to the chase! Let’s talk about GuardianCon 2018!!! What we can all expect with this incoming event that celebrates Destiny, video games, Twitch, and community. A new charity events: Charity Blitzes! Brandon, LOOK AT THE LIST!!!! How KMagic handled the controversy of saying that Destiny was not going to be featured on the Mainstage. Read the fine print, Guardians. The story behind getting Gambit — and Bungie — back to GuardianCon. If you missed the first visit from KMagic, hear how an event like GuardianCon came to fruition. What was it about Warmind that brought Kevin and other streamers back to Destiny 2? For the Guardians in the Tower, Go Fast was a step in the right direction. And now there is Forsaken. All roads lead back to The Division on this show. KMagic has other ideas on ways to fix Destiny. Leave it to Nick to use an Infinity War quote to describe GuardianCon. What is KMagic’s favorite part of GuardianCon? Who knew Braveheart was such a trigger for Kevin?! Nick and Brandon are looking forward to the Super Smash Brothers programming, thanks to this event! KMagic made the move from Twitch to Mixer. Here’s the road taken by Kevin to get to where he is now. How Tee loves Kings Coast Coffee. Let’s talk about Dr. Lupo’s Lifeline and this amazing hit in the morning! Where can you find KMagic101 on Mixer? Looking forward to GuardianCon, Kevin! See you there! Where you can reach out to us! Or leave us a comment on the blog! Angela’s GoFundMe and TD0013’s Etsy Store — check them out!